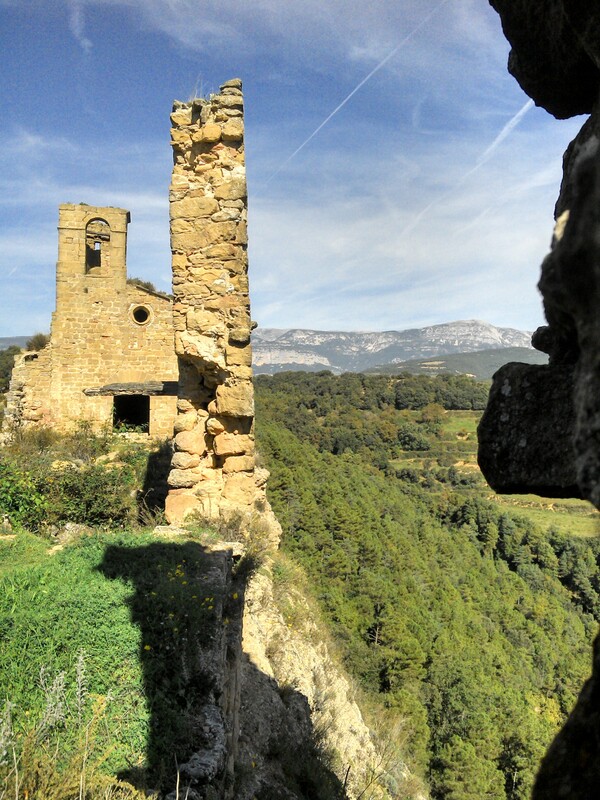 GR7 in Northern Catalunya – king of the castle. 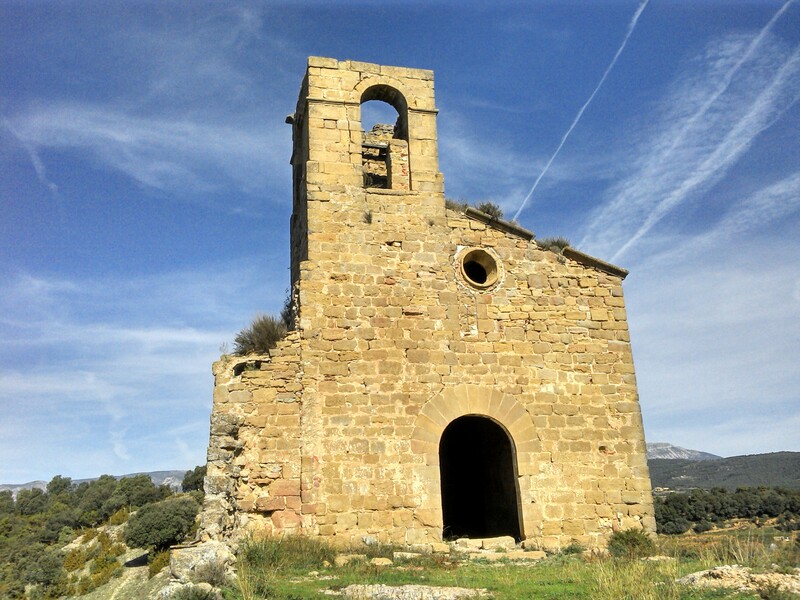 Solsona – Lladurs – Hostal del Pla. 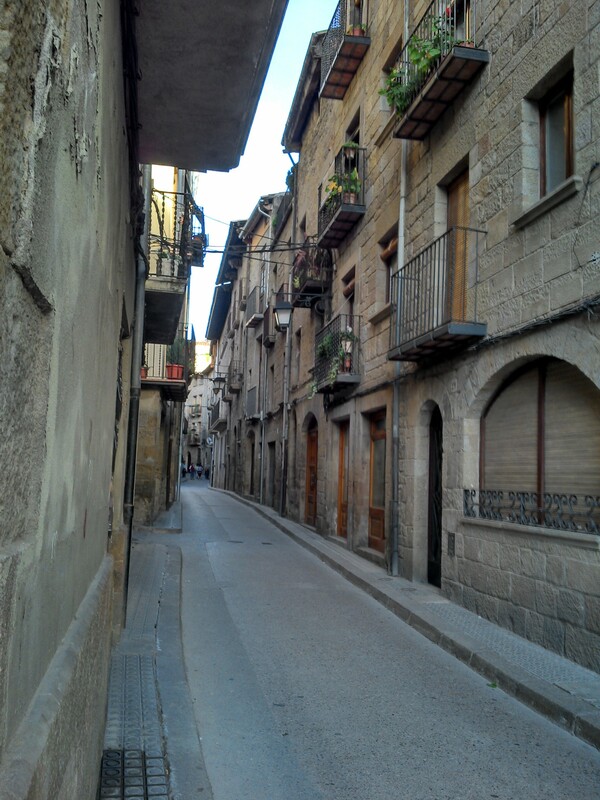 Getting out of Solsona was pleasanter than getting in. Almost immediately onto tracks by a stream which soon entered woodland. 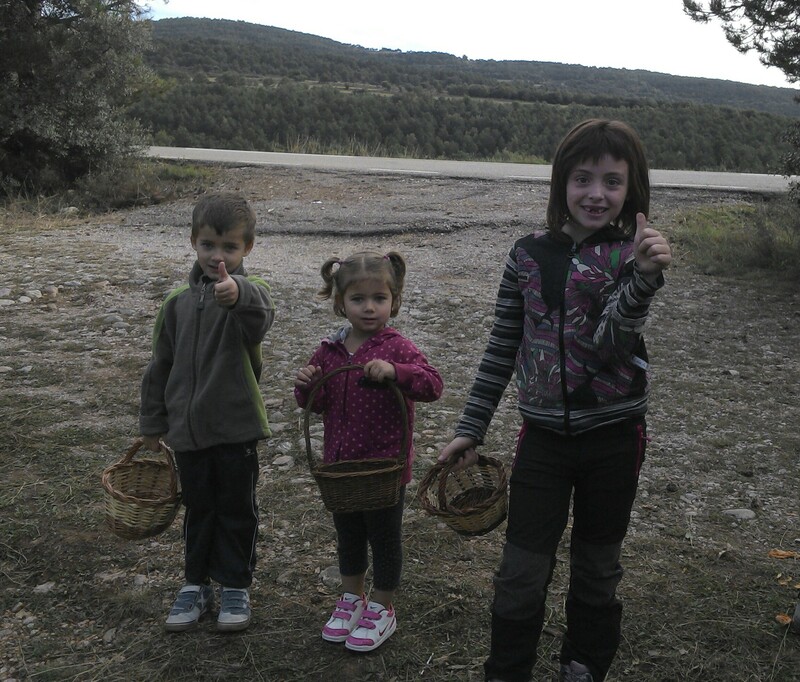 The usual groups of mushroom gatherers were out, one family were just starting and the kids each had a small basket, start them young. One section of track was on bed rock and a ‘drainage’ channel had been cut down the middle, presumably an important route at one time. 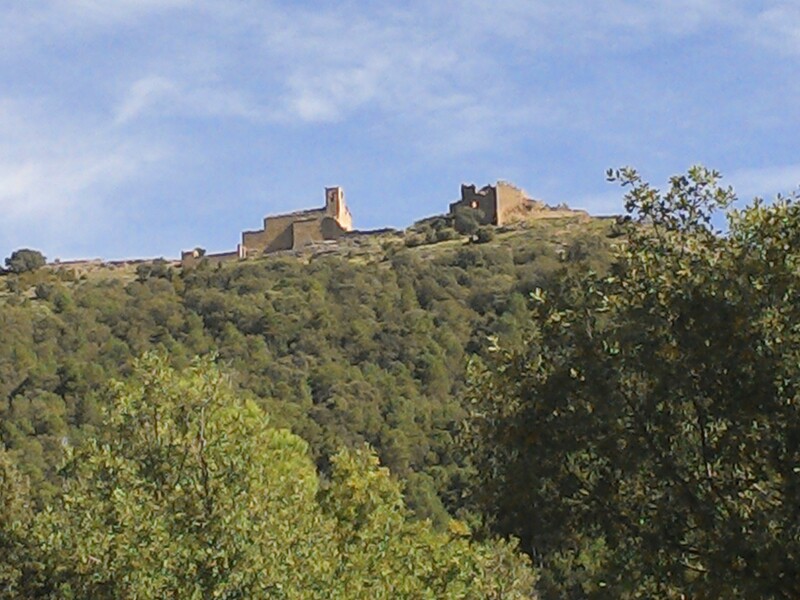 This path brought you out onto the road at a couple of houses named Lladurs on the map.the principal attraction hereabouts is the XI century castle high on a promontory. As my day was short decided to explore. I found a way, not necessarily the correct way, up the very steep hillside only to be confronted by high barbed wire fences. I realised later that these were to prevent visitors who’d come the approved way from straying onto dangerous ground. Utilising some Colditz style crawling I found myself inside, I know that sounds perverse. What a place- the ruined castle and attached chapel have sheer drops on two sides no health and safety barriers or handrails here. I was free to wander at will. And the views! Lunch was taken in my temporary eerie. The way off was straightforward along a grassy track to rejoin the GR7. It was along here that the route ahead up to the mountains became evident. 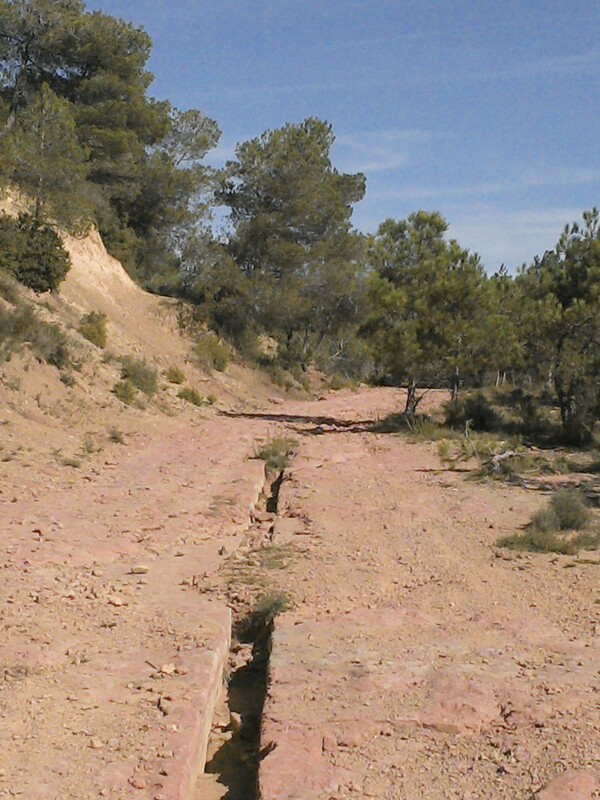 An old cattle trail brought me to the isolated Hostal del Pla. 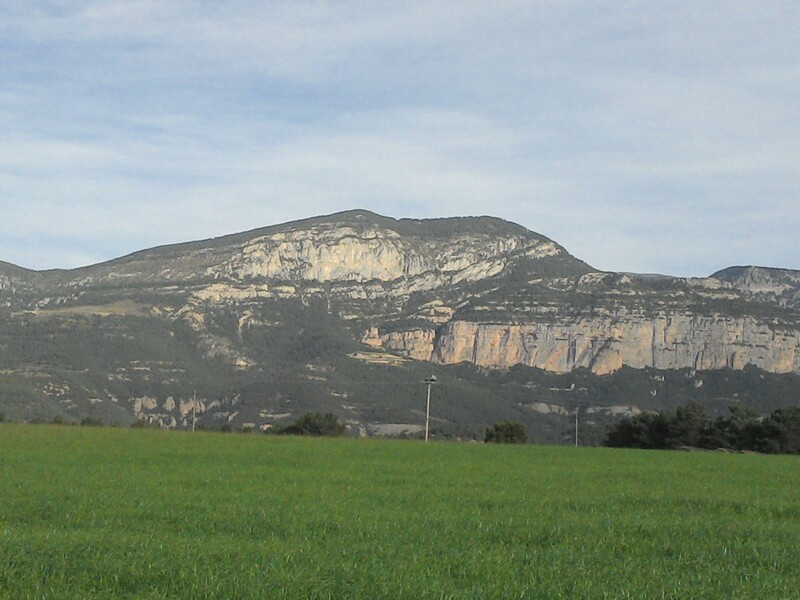 Across from it were views to white limestone cliffs above conglomerate grey buttesses. Looks as though there must be climbing here, must check in the Lleida guide book when home. Despite its name the hostal has no accomodation. Forewarned I had arranged a taxi and was back in Solsona in 20 mins. The taxi driver was learning.English using Skype to a tutor in Barcelona. 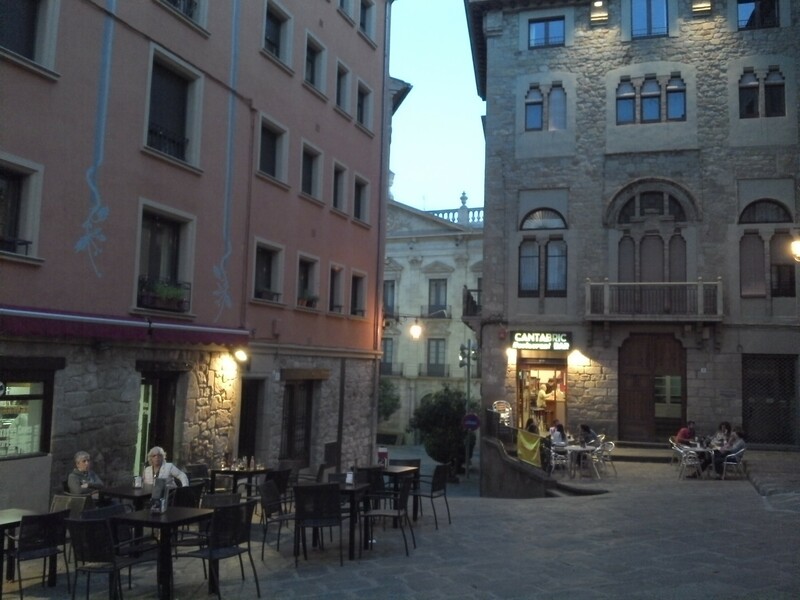 I had time to wander the narrow lanes of the old town and enjoy a plato combinado in a local bar before an early night. This entry was posted in GR7 Spain, Long Distance Walks., Walking. and tagged GR7 Spain, Long Distance Walks, Walking. on October 21, 2014 by bowlandclimber. You’re well out of it. Gales and rain here. You seem to be having an interesting walk. The weather here is unbelievable for October. 25+ every day, and I was worried about snow! WiFi hopeless in some of these hostals. Hence no photos.